Brink's, Incorporated – Why Work For Us? Every name on a Brink’s uniform is a promise. A promise to respect the trust we’ve earned in more than 150 years in business. 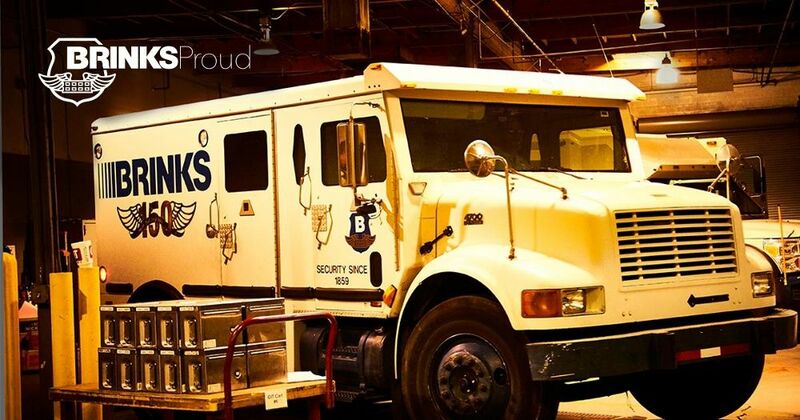 Brink’s has left an unrivaled global footprint that delivers incomparable security, efficiency and visibility across the logistics lifecycle. If you’re ready to play a critical role in a growing Fortune® 1000 company with a reputation for excellence, you’ve come to the right place. Outstanding performance is recognized with competitive compensation for those who push Brink’s toward higher success. We provide a Total Rewards package that includes 401(k) and comprehensive health benefits. Our benefits help our employees get the most out of their experience with Brink’s; including company-wide wellness initiatives, where we motivate one another to maintain healthy lifestyles. 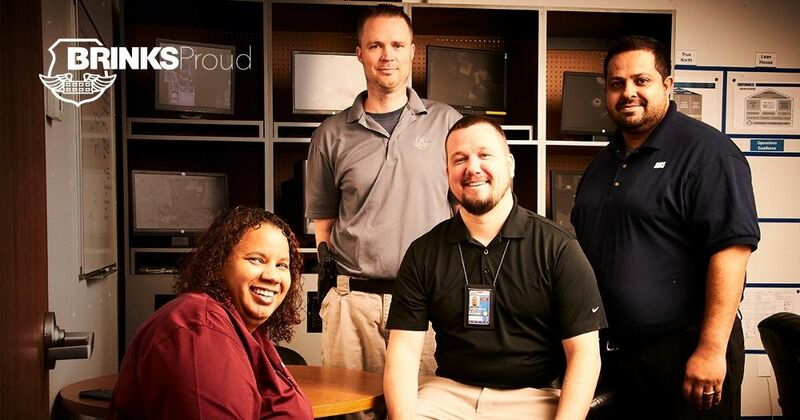 Brink’s employees are among the most tenured in the industry — in fact, more than 1,500 of our employees have worked at Brink’s for 10 years or more. We actively believe in promoting from within and provide ample opportunities for career growth. Whether you’re a recent graduate or an industry veteran, we’re committed to developing our people with the tools needed to be successful every step of the way. 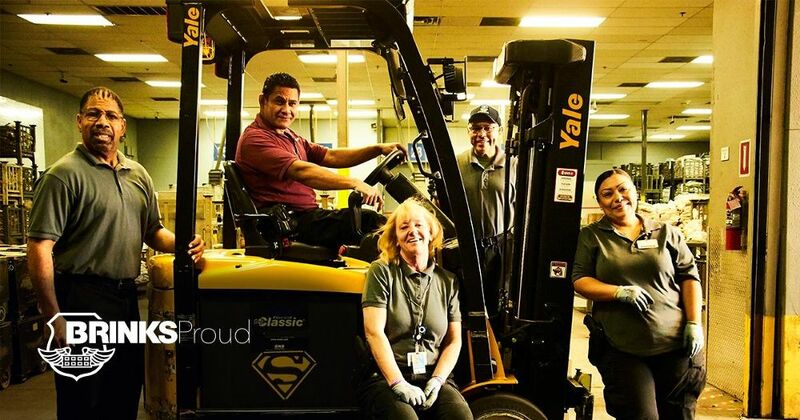 We’ve built a culture in which employees feel welcomed and valued for their individual differences, and we are committed to attracting and retaining a workforce representative of our customers. The relationships we build with our customers, employees and communities is an imperative part of our value system. Brink’s is fostering and sustaining a culture of inclusion through our global vision, business strategies and corporate behavior. Whether you are wearing a military uniform or a Brink’s uniform, we know you are working with confidence and pride. Our core values of trust, responsibility and integrity are in line with the values of men and women who have served in the military. We have partnered with Veteran Jobs Mission, Joining Forces (which serves America’s military families) and Recruit Military to aid veterans and their families with gainful employment. We are Military Strong. We are Brink’s Proud. Ryan M. is an ATM Coordinator. Why is he Brink’s Proud? Marie M. is a Non-CDL Driver. Why has she been with Brink’s for six years? Gerado M. is a Coin Operations Mechanic. Why did he decide to join the Brink’s team? I applied through a recruiter. I interviewed at Brink's, Incorporated in June 2017. It was a wonderful experience. Well organized and full of important information. Interview lasted around a hour. I met with the general manager and the hr rep. My military background helped a lot.